The intention of this page is to provide a very simple guide or starting point for a basic configuration that will apply to most first time users. There are many other detailed pages on this wiki that go into much more detail about complicated configurations and issues. What is available on the network? Melbourne Wireless (MW) is not an ISP and does not sell or support a connection to the internet. Some members of the network are willing to share their internet, some times for free and other times at the rate which it costs them. It is illegal to sell internet for profit without becoming an ISP. Although it appears to be legal to share internet at cost. If you are interested in receiving internet or sharing it, best join the email group for your local area (see how below). The first thing to do is to become a registered user of Melbourne Wireless, this is free. Don't worry, your email account will not be spammed. 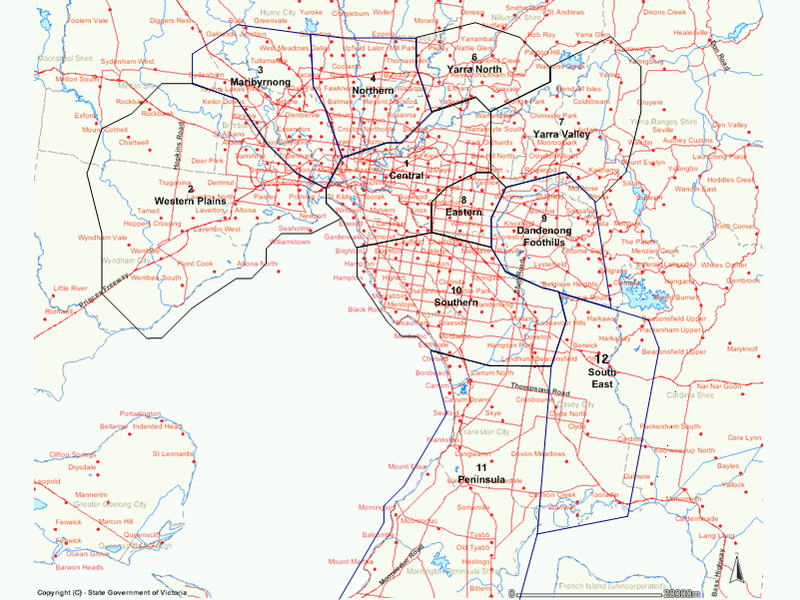 A Melbourne Wireless node is created at the place where you are interested in joining to the network, usually your home. The status of the node can be set to 'possibly interested' if you are just testing the waters. Node names are automatically generated as three letters and referred to as NodeAAA. Once your node is created you will be able to see other nodes that are close to you. Now that you have a node all setup, who do you connect to? There are two ways to find this out. If you can see a node that you would like to connect to from the map, you can email the person directly. Click on the node in question, then click the 'Contacts name' to email the owner of the node directly. Don't be shocked if you do not get a reply, some people are fearful about providing their real email address. The best way to find out what hardware is need is to ask the person that you want to connect to. Changes are they will have some experience and good idea what is needed. In most cases it is as simple as fitting a WiFi antenna to the top of you TV mast, then running coaxial cable to an Access Point hidden under the roof. The trick is to ensure you have LineOfSight to the node you are connecting to. WiFi is directional, meaning it does not travel thought houses or shopping centres very well. There are many different types of antenna for WiFi, you will only be interested in directional at this stage. The least visual impact would be the Yagi, or Panel types. Retailers can be found on the HardwareSuppliers page. No you can not use TV coaxial cabling. Special low loss 2.4Ghz cabling is needed to run from you antenna to the access point. If you use just any old coax cable, you'll lose too much signal before it even gets to your antenna. LMR-400 is the standard we recommend. There are many different connectors that are used, it is important to order the correct ones. The industry standard connector used on Wifi antennas is the NConnector. Most access points have special connectors just to make life difficult. It is best to determine the length of cable you will need and order it with the connectors already fitted. You will need to know which access point you intend to use as there is no standard for access point connectors. So, you have a directional antenna on you roof, LMR-400 coaxial cabling running to you access point hiding under the roof. The next step is to run Cat5 (ethernet) cabling from the access point to your PC. If you dont wont to run cabling from your access point to your PC you can use a additional access point. This is alittle more expensive but if you are renting the house or just dont want to run cables this can be a good option. You will also need a wifi card in you PC. dd-wrt firmware on the linksys wrt54g access point (like some others) has a wireless client support. Meaning you can change the deveice from access point (AP) mode into client mode. This allows the device to connect to antother AP. dd-wrt can do a site servery, very helpful with finding other networks. You will hear a lot of talk about routing and IP tables. Using this configuration you will not need to worry about any of this. Routing is used when you have more then one connection to the network. In order for data to find the correct path, or the shortest path to its destination routing tables are setup. As you have only one connection there is nothing to worry about. The MW network allocates IP blocks to nodes that have connected clients. The person you are connecting to should have an IP address range (or block) allocated to them, you will be able to see this in there node page. They should have DHCP setup and be allocating this address out to clients. The linksys will automatically accept the DHCP address internally without you knowing. There is no need to change anything. You will need to change the default gateway to the IP address of the node you are connecting to. This is the only change that is needed. Remember that Melbourne Wireless is not an ISP and it does not give out free internet. To find out what services are in your area best get involved in the local email group for your area. The lists is the best place to ask any questions you may have. Remember google is you friend, there is a heap if Wifi information out there.